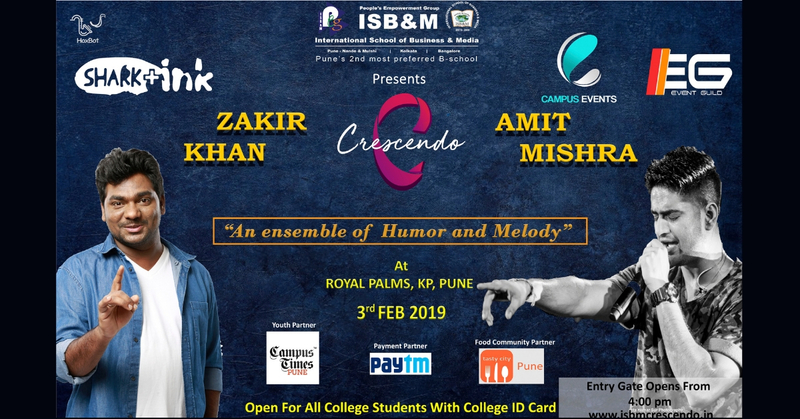 Runbhoomi 2019, The Ultimate Battle – One of the biggest inter-collegiate sports fest in Pune is organised by the Sporties of International School of Business and Media. The fest which extends to 4 days is going to commence on 14th of February and will culminate on 17th of February, 2019. At a massive fest such as Runbhoomi, a little guide about the highlights never goes away. To arouse your curiosity and holding your attention towards Runbhoomi 2k19 we have sports like Cricket, Basketball, Volleyball, Football, Aqua Polo, Badminton, Carrom, Table Tennis, Chess and adding on to that for the first time in Runbhoomi’s history we have Snooker! Exciting gifts will be given to the crowd such as caps, key chains, wrist bands, t-shirts etc.. who participate in the fillers. The big exhibition of food stalls have lip smacking foods and display is an attraction for both food lovers and people looking for a change in palate all 4 days of the fest. With discounted prices the food is even more inviting and burns a smaller hole in the pocket. For the chilled breeze that runs through your spine we have bonfires too. This year Runbhoomi is going to be graced by Shiba Maggon, an Indian basketball player who played for the India National Team. She is currently the coach for the Indian Senior Women Team, as well as an international referee. She was one of the first women to qualify as a referee. The breath-taking scene of colourful skyshots in the dark night will be remarkable moment.